Prophet Samuel Kakande of the Synagogue of Nations church introduced 'Holy Rice' to his congregation at a price of $14 a kilogram. Even with the food insecurity that has hit Uganda and other East African countries, the market price for most food commodities hasn't changed much. The price of a kilogram of rice at a supermarket is shs3700 - just above $1. But not for Samuel Kakande, a self proclaimed prophet and Pastor at the Mulago-based Synagogue of Nations church in Kampala, Uganda's capital. The embattled shepherd of God took the country by storm when he introduced what he called "holy rice" to his congregation at a price of shs 50,000 ($14). Kakande explained to the church that the rice was blessed and would perform a multiplier effect of the blessings if the buyer sprinkles "a little bit of the holy rice" into their ordinary rice. "This rice is blessed. Hallelujah! All you have to do is sprinkle some of the holy rice in your normal rice to release the blessing," Kakande vigorously marketed his rice during a spirited sermon. On Valentine's Day, the Ministry of Agriculture announced that 1.58million Ugandans are currently in need of immediate food relief as of January 2017 while 8.2 million eat at least one meal a day. This is not helped by the hard economic conditions arising out of a long prolonged drought that has hit the country. It is on this note that Ugandans were not amused by Pastor's Kakande's 'holy rice' being at such an astronomical price yet a such a desperate time when over 100 Ugandans have died of starvation in different parts of the country. Dorothy Nkuzi, a youth activist and journalist told TIA that she was taken aback to hear that a 'man of God' was taking advantage of 'gullible' Ugandans to make a fortune. "Kakande is again exploiting stupid desperate Ugandans. Unfortunately for us, everyone can do as they please at a poor man's expense. Although, I also fault the buyers; how stupid can you be really to be conned into buying rice at a price 1000% higher because someone said it was holy rice?" she fumed. 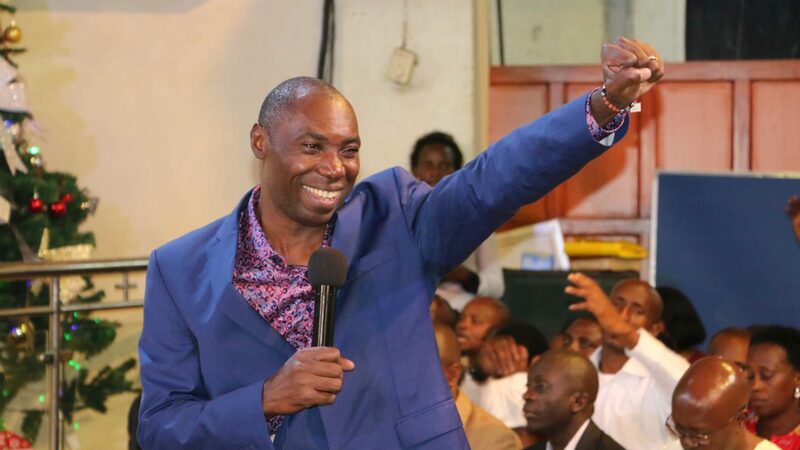 Others argued, though sarcastically, that Pastor Kakande should not be faulted but rather reward as any other entrepreneurial Ugandan working hard to take the country to the much anticipated middle-income status. "Pastor Kakande is not a thief. He is rather a strategic Ugandan who wants to achieve a middle income status. I blame the congregation. If he is able to indoctrinate belief then he stands up to it," wrote Joshua Sewankambo in response to this author's Facebook voxpop. Pastor Samuel Kakande is not new to controversy. 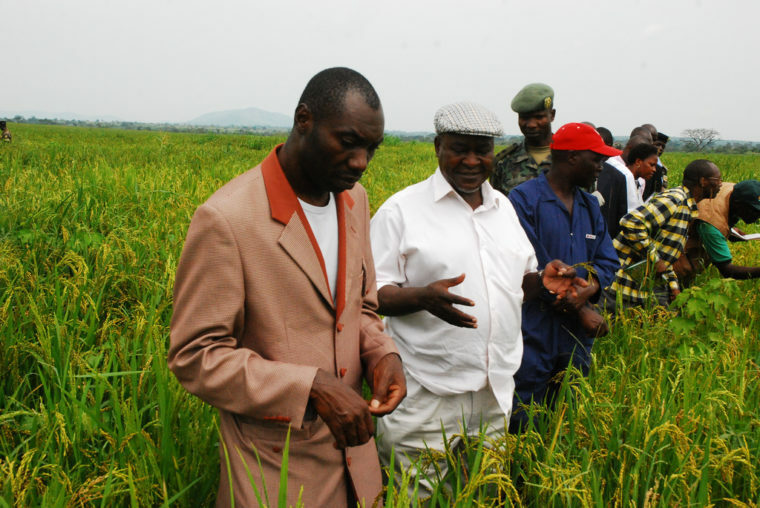 In September last year, his deputy Pastor Joshua Muwanguzi who also manages Kakande's 710 acre rice farm located in Nakasongora, along the Kampala-Gulu highway was arrested for being in possession of illegal guns. A month later, Kakande was on the spotlight himself when the National Environmental Management Authority (NEMA) discovered that he had been illegally mining sand in the Lwera wetland, along the Masaka-Mbarara highway. He was forced to publicly apologise by a Parliamentary Committee on environment. Kakande has in the past sold handkerchiefs, water among other things to his followers at exorbitant prices under the guise that they are holy and blessed.